Cheer up. Or at least try. I get it…you’re getting older, and you’re not getting any less single. And, if you’re like me and find yourself single past 30, you might be starting to feel as if the train has left the station long ago, and you were too busy to get on board. On the one hand, you’re not alone. Many people are putting off marriage these days. On the other hand, a lot of Christians are still marrying young. Which means you’re feeling a little bit like God left you behind on this one. Valentine’s Day doesn’t help. Images of candy and flowers get old pretty quick. And time spent in the presence of other couples makes you wonder if a Relationship is just the sort of fresh coat of paint that might make you finally visible to the world. And let’s face it, this isn’t the sort of issue over which the Christian subculture is getting any less obsessive or condescending. But the one thing that’s not ok is to get all mopey about it. The apostle Paul talks about “being content in all circumstances.” Still, the great theologian named Tom Petty tells us that “the waiting is the hardest part.” So as a young, single pastor, I write this advice to all my fellow singles out there. 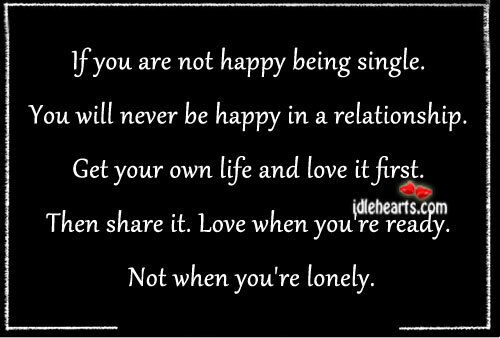 You probably don’t have the gift of singleness. It’s ok to want to get married. Honest. I know, I know; everyone wants to pull out 1 Corinthians 7 and talk about how Paul said singleness is a good thing. But Paul also said each man has his own gift. God invented marriage because he realized how bad we were at doing life by ourselves. Marriage is a part of God’s program. Singleness is a rare exception, not a sign of spiritual superiority. God wants people to marry, so don’t try to act like you’re holier than God. Pray for love. All of it. Yes, pray for a spouse. But don’t just pray for a spouse for yourself. Doing so will only cause the years of unanswered prayers to weigh you down. Instead, pray for love – all of it. Be thankful when others find love ahead of you, because every love story reveals a God who brings people together against what is very often some very impossible odds. Looking to a God who answers prayers and brings people together will allow you to attend friends’ weddings with supportive enthusiasm rather than jealous resentment. You are not damaged goods. There comes an age where everyone has their baggage, some horror story from a past relationship. And you’re right: no one really gets how bad it really was and how hard it really is. Your parents never had to deal with the confused and twisted sexual norms of our present day, and those who married at 20 never had to face the types of struggles and scars that come with the territory of aging singleness. But that’s why the gospel is so important. See, psychology tells us that we’re born innocent – we’re blank slates, and therefore are the sum total of our experiences. If this is true, then no wonder our scars come to define us. But the gospel says the opposite: we’re born guilty, and our identity is found in the mercy and redemption of Jesus. Therefore, we can never be “damaged goods,” because our identity is found not in the bitterness of the past, but in the finished work of Christ. Every scar we receive can be used in the hands of the great Storyteller who is able His narrative even through our pain. There’s a lot of really bad advice floating around out there, all under the well-intentioned guise of Christian dating (or “courting”) advice. Some of it can be good. Some of it can be bad. All of it can be fuel for obsessing over your circumstances. And nearly all of it comes from the hearts of people who don’t know your circumstances at all. The best advice usually comes from friends over coffee. So while I’m not telling you to kiss Christian dating books goodbye, chew the meat, spit the fat, people. 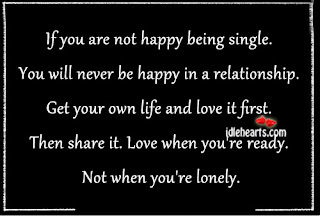 Learn to accept the gift of singleness. Being single means I work two jobs. And I’ve had some amazing opportunities because of it. You will never again have as much time on your hands as you do while you’re single. Singleness can be an emotional burden, but it can also be a gift. Seize the gift. Use the time to learn a new skill. Learn a language. Serve someone. Wanting a spouse doesn’t mean you have to get all pine-y about it. This isn’t about feeling desperate. It’s about asking the harder question: “Would you want to date you?” And by that I don’t mean are you attractive or hip or whatever it is these young people want these days. What I mean is – are you a person of strong Christian character? Do others see Jesus in you? Have you demonstrated commitment in other areas of your life? For you guys, that means praying not just to find a girl, but actively praying that God would shape you into the man she needs you to be. And not for her benefit either, or even yours, but because God’s desire is for both of you to serve His kingdom together. And for you ladies, maybe this means valuing Godly character over initial chemistry. I’m not discounting the emotional, butterflies-in-your-stomach, moths-in-your-spleen kind of feelings, but maybe the right guy is the one who stands by you even when those feelings are not there. And to my future wife, if by some miracle of technology you’re reading this today, I want you to know simply this: I love you without ever having met you. I’ve waited 30 years to meet you, and if I have to wait another 30, well…then you’d better be worth it. And if you are out there, then by God’s grace, I’m going to find you. Awwww God bless you! I needed this today.